The horror of it all, is that we exchange much of our lives for stuff. Just stuff. I’m guilty of shopping for instant gratification instead of searching out the beauty and peace there is to be found in my own back yard. Such a waste. I’ve exchanged a bit of life the last couple of days on a story that is yet unfinished. But is really is becoming too lengthy to share in one post. I’m going to break it up. And I’m going to hope that someone will come back for the subsequent posts and see it through to the end. I think I will begin each installment with the picture. 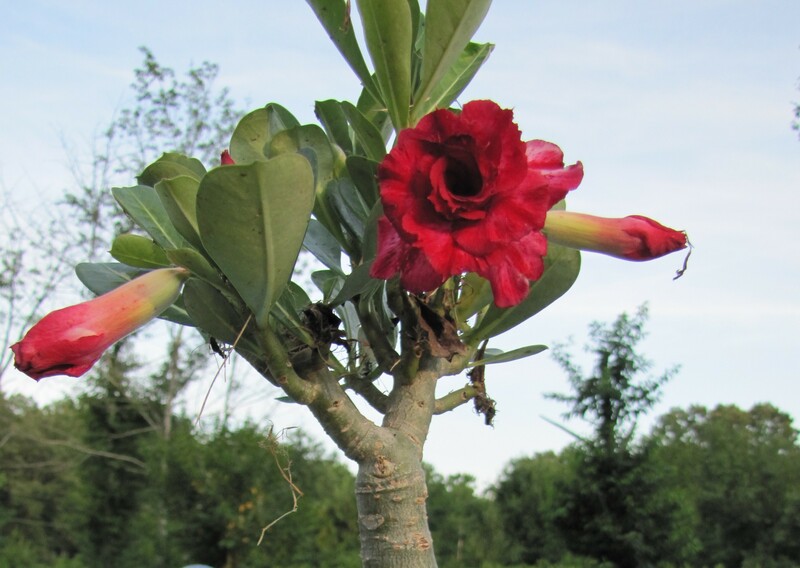 She was named for the desert rose, the bloom so beautifully layered and constant in the most adverse of conditions. Her mother had seen one once in a hotel atrium and searched for its origins, fascinated. She lived in adverse conditions much the same as her namesake. Poverty, the absence of family, the threat of simply living in a one room walk-up in the filthy neighborhood they called home shadowed their lives. She was sure Mama did her best. Their room was spotlessly clean. She noticed her clothes were cleaner than the other kids around. Mama made her take a bath every night so she didn’t smell like the others. She noticed. The only place she felt safe in her pre[- school was in the office. No one coming or going would harm her, bully her. Miz Jolly wouldn’t allow it. Miz Jolly liked to wink at her and give her small pieces of chocolate. Miz Jolly had a little girl too. She was in third grade and went to another school, somewhere uptown Miz Jolly said. After school and when Mama worked she stayed with Janie. Janie was fat and smoked cigarettes and had lots of boyfriends. She didn’t like Janie. Janie was rude to her and never listened when there was a fight. She let the other kids bully and tease, not like Miz Jolly at all. But she learned ways of coping with good humor and steely resolve. The other place she felt safe was the library. Mama had been bringing her here since before she could remember. She loved the way it was so quiet in the corner Mama always chose. She loved the smell of the books, the feel of the covers. She specially liked Mr. Morris who always teased her when they checked out about being a little bookworm and then he would point to the picture of a green worm with glasses on the wall. She giggled every time she spotted those glasses on that worm.